My daughters love to help out when I am baking in the kitchen, so they were pretty happy when I received this recipe book! The recipes are set out in a easy-to-follow step-by-step format. There is a section that lists what equipment will be needed, including pictures. 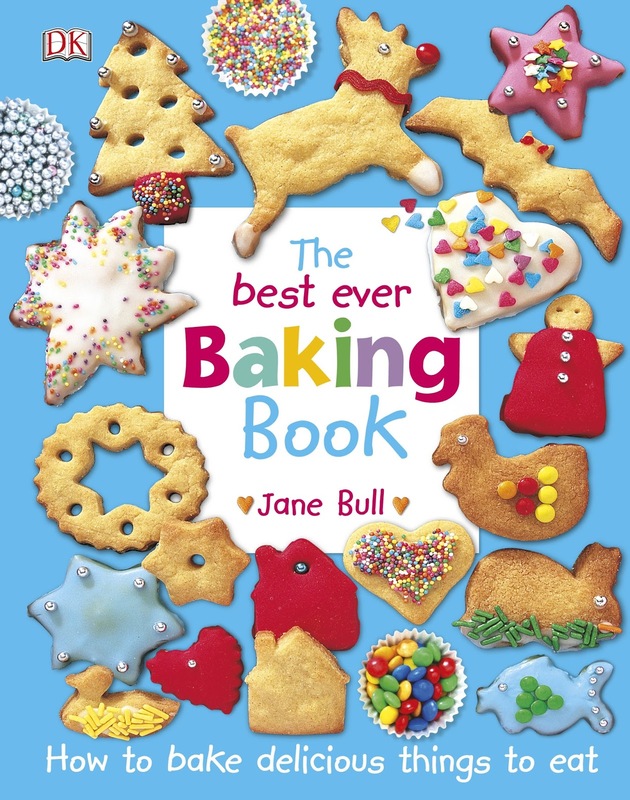 The ingredient list also has pictures included, making it easy for young bakers to recognise the ingredients (especially helpful for those too young to read the ingredient list). The recipes include variations, with tips on storage and other cooking handy hints. Some of the recipes include: muffins, cakes and bread. The Best Ever Baking Book is ideal for young bakers aged 5 - 10 years old. It is available now through DK Books. The Lion In Our Living Room is a recently released children's book that focuses on the special playful moments that children share with their fathers. 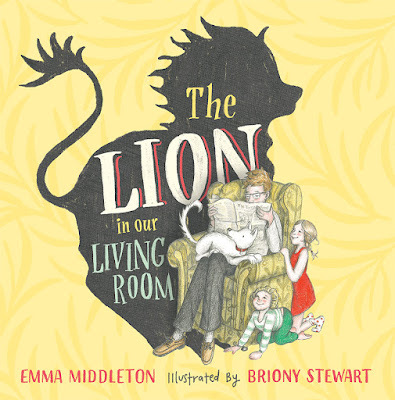 Tilly and Tom are at home with their dad, and wonder whether the lion will pay them a visit today. Will he or won't he show up? They await his arrival with anticipation! When the lion finally arrives, Tilly and Tom have a wonderful time playing and taking turns to have a lion ride. This is a great picture book for children with fun-loving fathers. 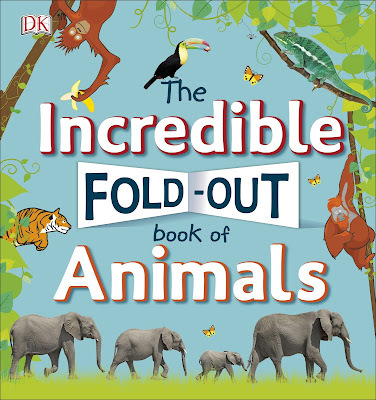 Book Review: The Incredible Fold-Out Book Of Animals by DK Books. 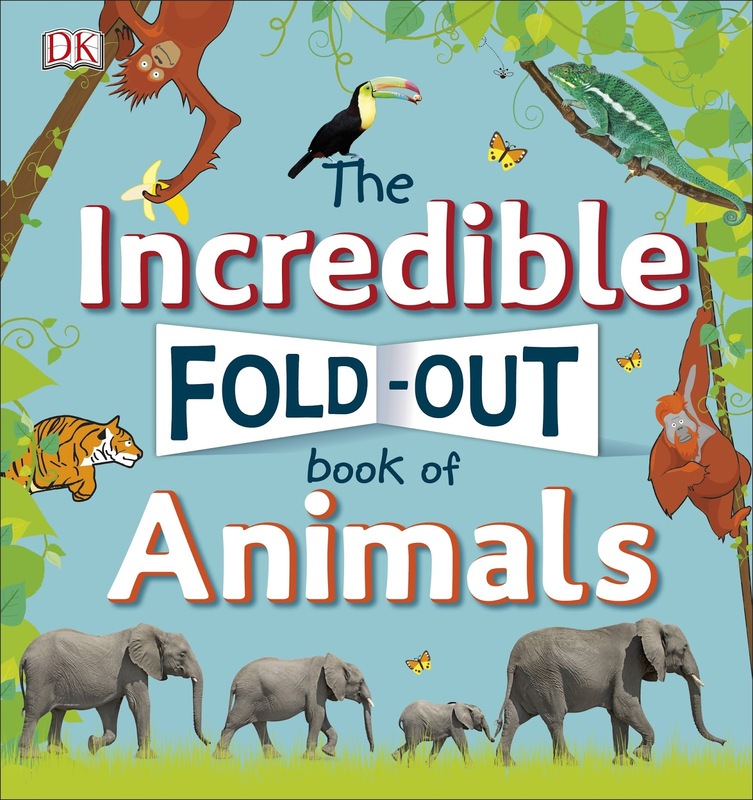 As the title suggests, this large hard-backed book has a fold-out format, offering the reader the opportunity to explore the lives of some amazing wild creatures in great detail. Tigers, elephants, chameleons, toucans and orangutans are just some of the animals that are featured in this comprehensive guide. Remarkable photographic images and fascinating facts grace the pages of this pages of this book. I like that the pages are thick and durable, making it suitable for younger readers, as well as older age groups. Alison Lester is a hugely popular Australian children's author and illustrator, and her latest book, The Very Noisy Baby has a very sweet story behind it. 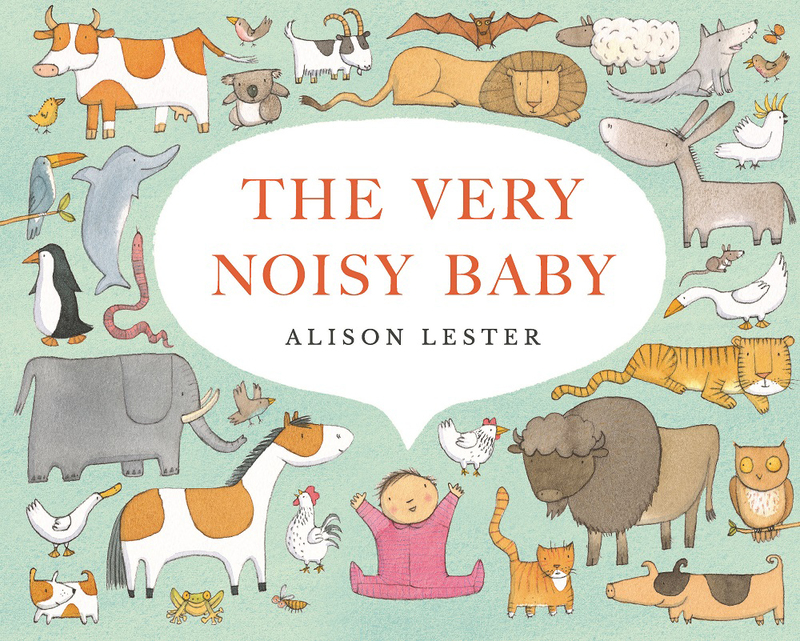 The book was inspired by Alison's granddaughter Trixie, now aged 3, who was a very noisy baby. Trixie's mum Clair is the editor, so this collaboration of three generations is a very special one. In the story, a little baby makes some unusual and loud sounds. She can growl, roar, and bellow loudly! But when animals in the neighbourhood start to go missing, can the adorable baby help? The repetitive and rhyming text makes this book ideal for reading out loud to your little ones, and the illustrations are lovely. 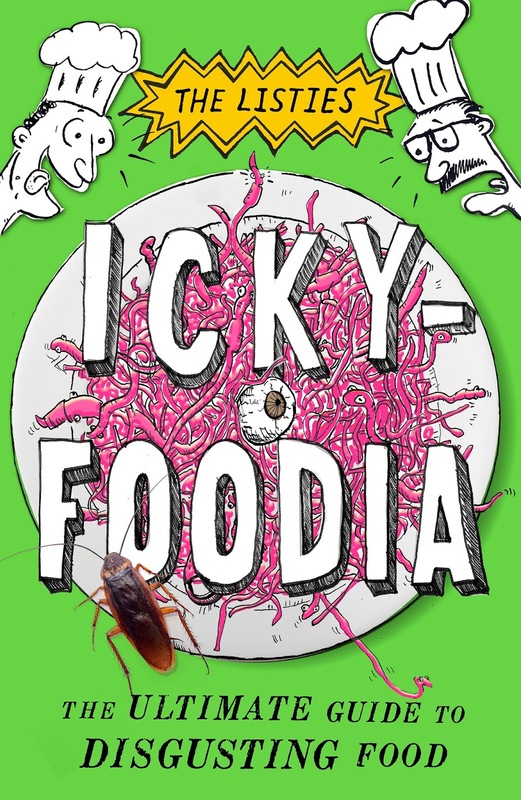 Children's comedians, The Listies, (Richard Higgins and Matt Kelly) have already released Ickypedia (a dictionary of disgusting new words), and now they are back with Icky-Foodia, which is an alphabetical guide to disgusting foods! What can I say except that this is one hilarious book that both children and adults will enjoy! 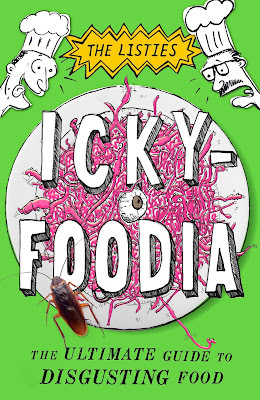 There are a LOT of puns and jokes thrown in as The Listies define foods, meals and recipes, which will have you laughing out loud! What I like about this book is that it doesn't need to necessarily be read in order from first page to last. My 10 year-old daughter likes to flip through the book and read out sections which have us both in giggles. 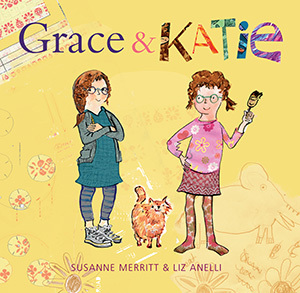 Grace & Katie is a delightful hard-backed picture book that is released this month through EK Books. Grace & Katie are twins, and they both love to draw, but that is where the similarities end. Grace likes her drawings to be neat and organised, whereas Katie opts for bright and bold patterns and drawings. One day, the girls decide to draw a map of their house and their street, but they can't decide on the best way to do it, so they each decide to create their own versions. However, they soon realise that perhaps they would have been better to collaborate together in order to allow each of their strengths to shine through. This is a great book that encourages children to express their individual creativity. It is recommended for readers 4-8 years old, and has an RRP of $19.99. 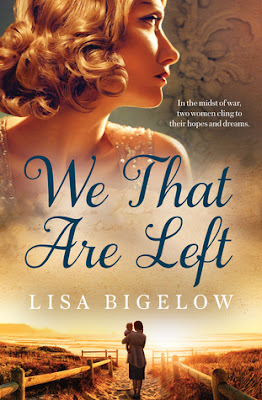 Whilst We That Are Left by Lisa Bigelow is a debut fictional story about the effects of war. I was interested to discover that the story is inspired by real-life events involving Lisa's grandfather, who was one of the 645 crew members lost on the ship, HMAS Sydney, in 1941. The story begins in Melbourne in 1941, and spans across the years to 1947. There are two main female characters - Mae Parker and Grace Fowler. Mae has been happily married to Harry, a naval engineer, for 6 years. They are about to bring their first child into the world when Harry gets posted to the HMAS Sydney, a dream that he has been waiting for. Shortly after the birth of their daughter Katie, Mae discovers that Harry's ship has gone missing. The news leaves her distraught and she struggles to believe that Harry may never return. Grace is a feisty and determined young woman who works at a daily newspaper office and is keen on making her childhood dream of becoming a reporter a reality. It is there that she meets fellow journalist Phil Taylor, and they begin dating. But when Phil is sent to work in Singapore to report on the Allied troops, he is captured, and Grace does not know if or when he will ever return. Both of these women are very brave, and have to endure the effect that the war has on their lives. Mae remains hopeful that she will be reunited with Harry. Her loving family of aunt and uncles offer their love and support and help her get back on her feet as she faces challenges with raising Katie whilst clinging to the hope that she will see Harry again. This is a book that drew me in and I really enjoyed it. Having the focus on the two women gave the reader a very good insight into how war effects not only the servicemen and women, but their loved ones, for generations to come. 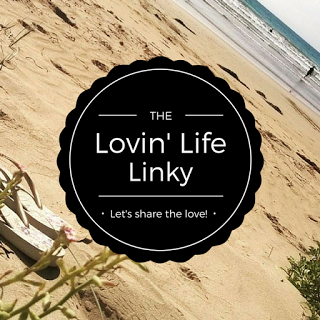 With thanks to Beauty & Lace and Allen & Unwin for the opportunity to read and review We That Are Lost. If you're after a chapter book for middle readers, then look no further than this fantastic read! Dr Boogaloo isn't your standard GP. Instead of prescribing medication to his patients, he treats them with what he believes to be the most powerful form of medicine... MUSIC! One day, a woman brings her young daughter, a girl named Blue, to Dr Boogaloo's clinic. Blue has lost her ability to laugh. In fact, it has been over 700 days since she last laughed. 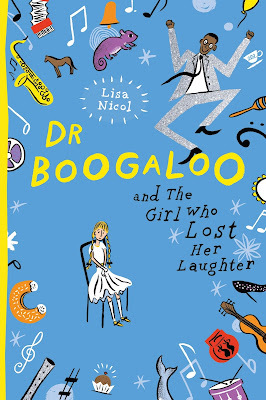 Will Dr Boogaloo be able to cure her, or is Blue doomed to never laugh again? I adored this book. Blue is an adorable girl who is kind and considerate to others. As we learn about her home life, we soon realise just how easy it is for Blue to have lost her laughter. 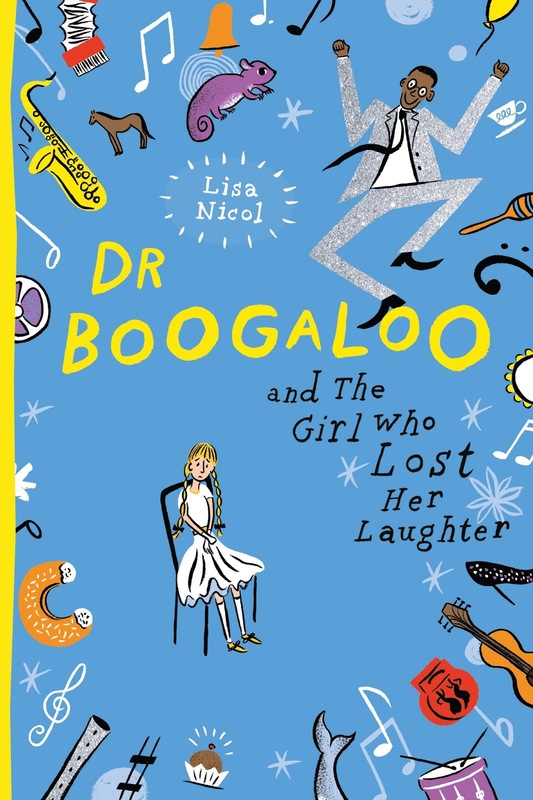 Dr Boogaloo and his wife, Bessie, are both wonderful characters and will stop at nothing to help Blue. It is a whimsical and enchanting tale that both young and older readers will enjoy. And the book cover is so pretty too!